Incorporated in 2005, WebTeam Corporation is a Somerset-based mobile app development firm that offers multiple educational and gaming apps for mainstream as well as special needs population. 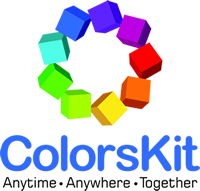 WebTeam has developed of ColorsKit, an autism management program comprising screening, assessment and intervention apps. WebTeam’s ABA-based autism apps help parents, teachers, health care experts and researchers efficiently manage the entire life-cycle of autism from infancy to adulthood and employment. By developing apps for autism intervention, WebTeam replicates individualized autism services on mobile devices, thereby making these necessary services available to the underserved population globally, especially in countries that lack the expertise necessary to tackle autism efficiently and in a cost-effective manner. WebTeam’s innovative idea backed by proprietary technology was awarded by Verizon in the 2013 Powerful Answers Award competition.